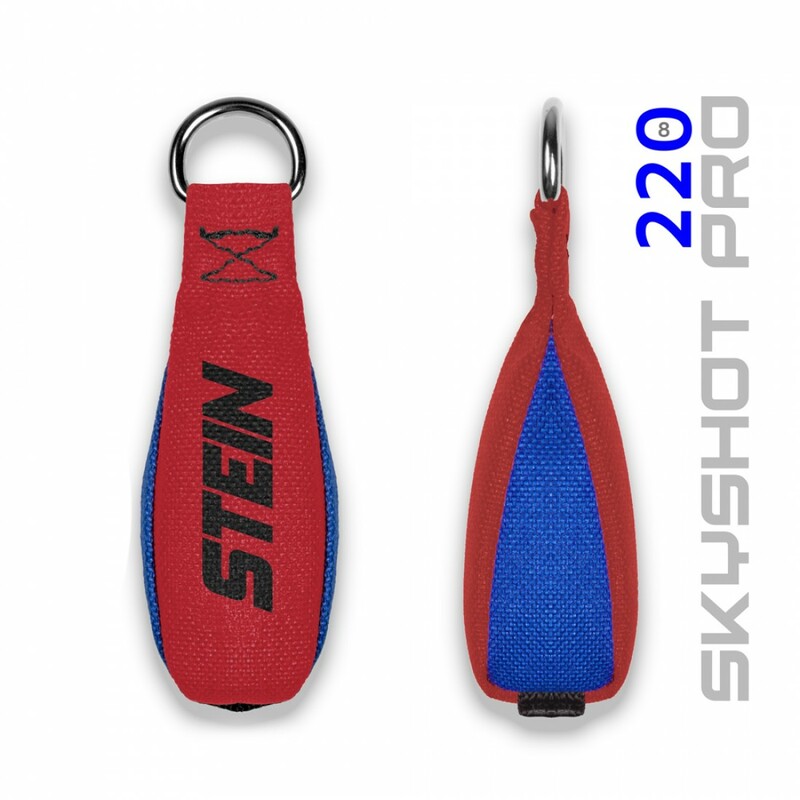 The Stein Skyshot Pro is a precision manufactured throw weight. The laser cut CORDURA fabric is cut to precision and heat seals the edges to prevent them from fraying internally during use. 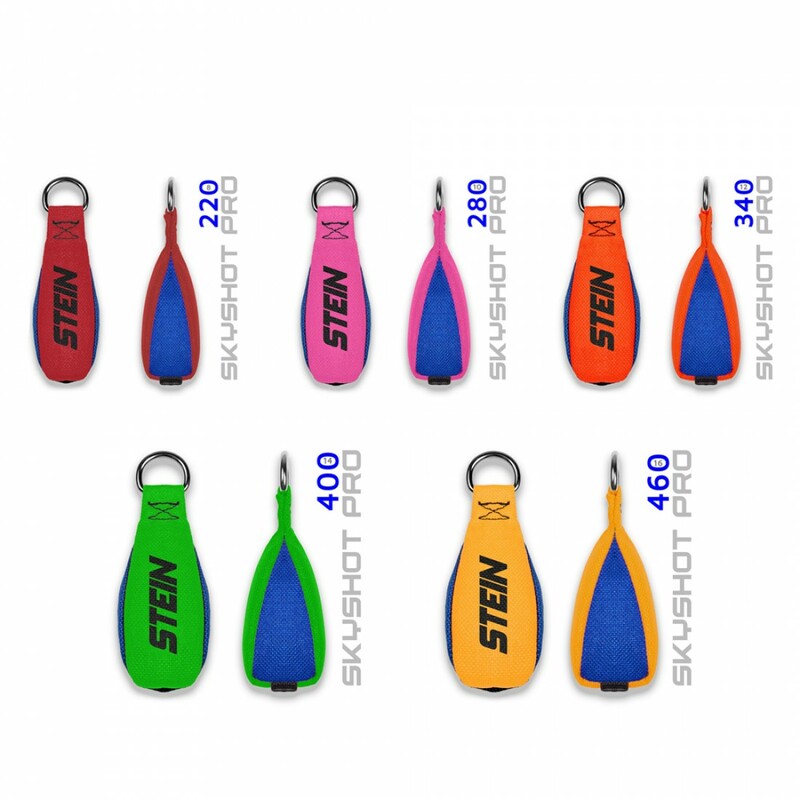 Each weight is colour coded depending on the weight size and uses two colours of CODURA material. 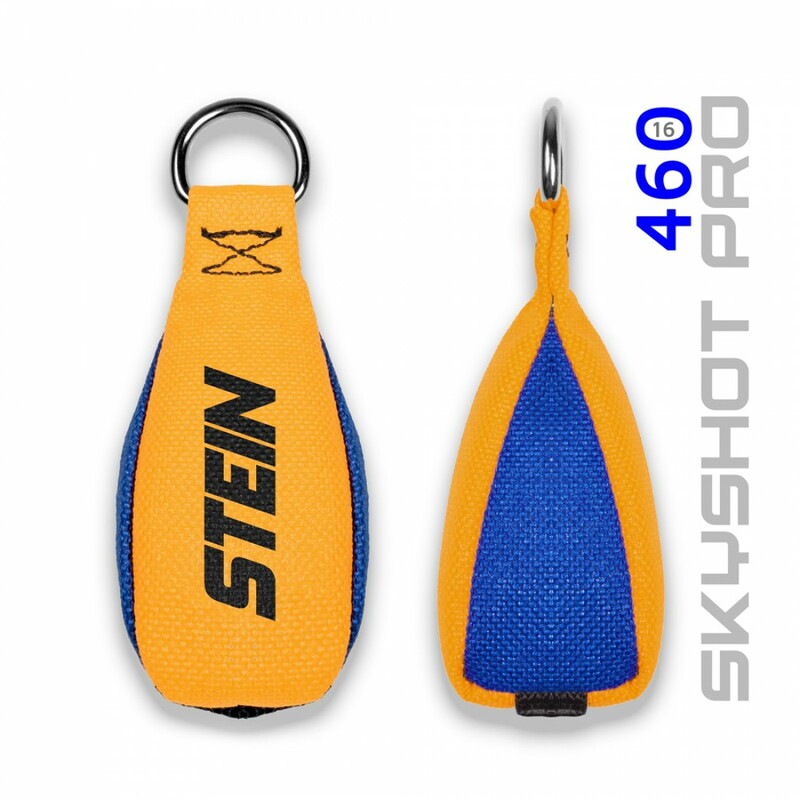 These weights are all dual stitched for extra durability and increased strength. 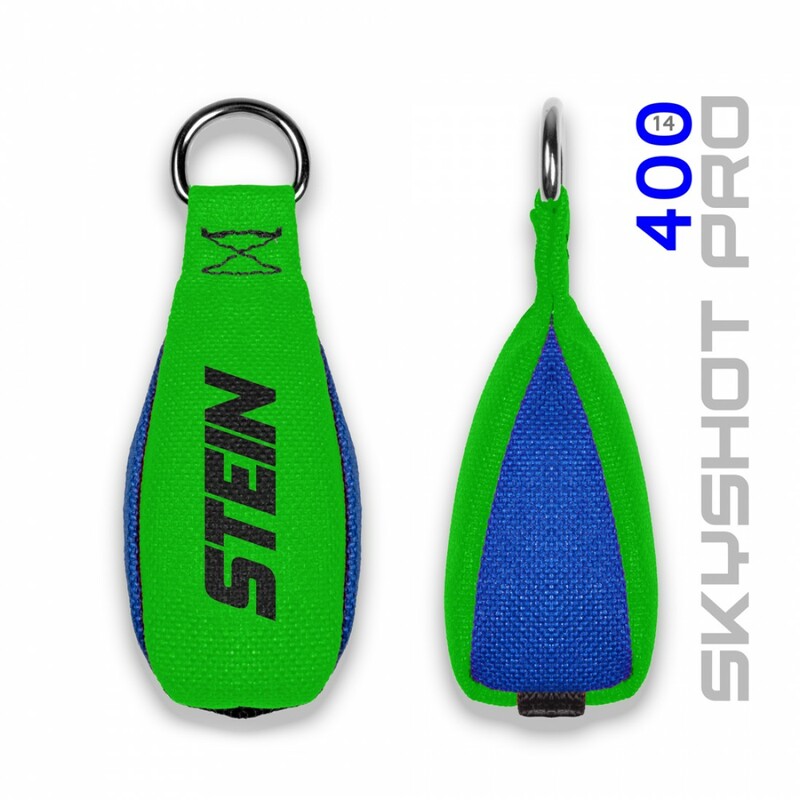 An aerodynamic design helps to increase the user's throw distance and control, helping to punch through the tree canopy. 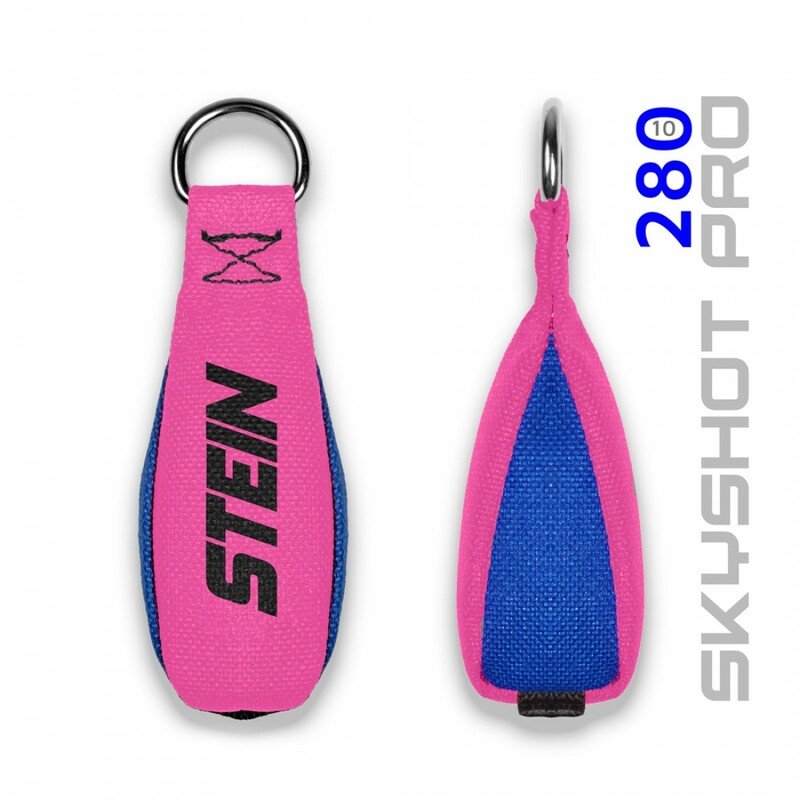 A 'D' ring has been added to allow an easy attachment of the throw line, which is nickel plated. 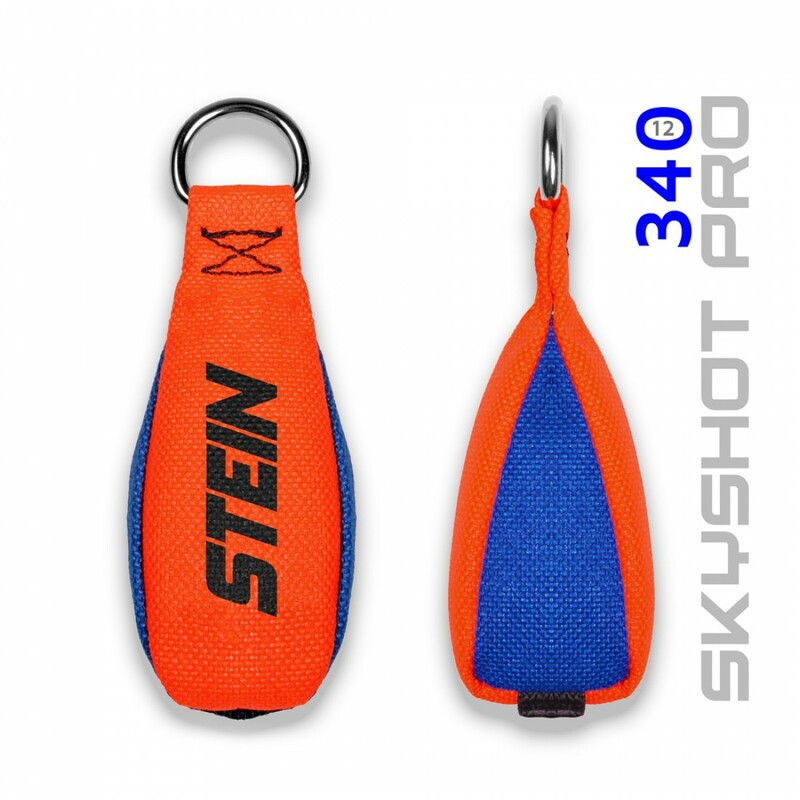 It also comes with a webbing loop on the bottom as standard, this allows two weights to be connected.